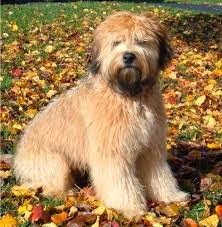 Q: My Wheaton Terrier was diagnosed with PLN Protein-Losing Nephropathy. Is there anything I can do from a natural standpoint to try to help him? Treating Protein-Losing Nephropathy consists of managing symptoms and slowing the progression of the disease. Since conventional veterinary treatments are limited, using a holistic approach with natural supplements can greatly help. Kidney Health Protein Support helps pets to break down the protein, better absorb and utilize the protein. This is key with this condition. Renelix is a powerful kidney detox that helps to flush out toxins and improve kidney function. Purrfect Pet CoQ10 is an essential antioxidant that is very important for kidney function. While many pets will eat a prescription kidney diet, we have found that using a natural diet, free of glutenous grains with limited, but highly bioavailable protein is best. Avoid dry food as it is hard to digest and dogs with kidney disease need a high moisture diet.